WTF's - Writing Thrilling Fiction...: 'Fairly Wicked Tales' Is Almost Upon Us . . .
'Fairly Wicked Tales' Is Almost Upon Us . . . It's been a while in the making but now it's nearly here. 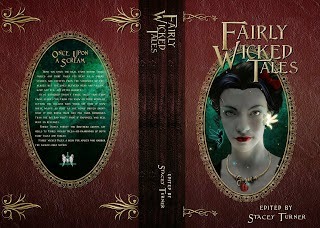 Fairly Wicked Tales! An anthology of Fairy Tales but with dark twists. I was lucky enough last year to have my submission accepted by Angelic Knight Press, and just last week the cover was finally revealed. I'm so excited to be a part of this, and the cover I think captures just the right essence of the collection. You're right. That's one fantastic cover. Good luck with this. Congratulations - beautiful cover. If you'd like a promo spot on my blog just let me know.